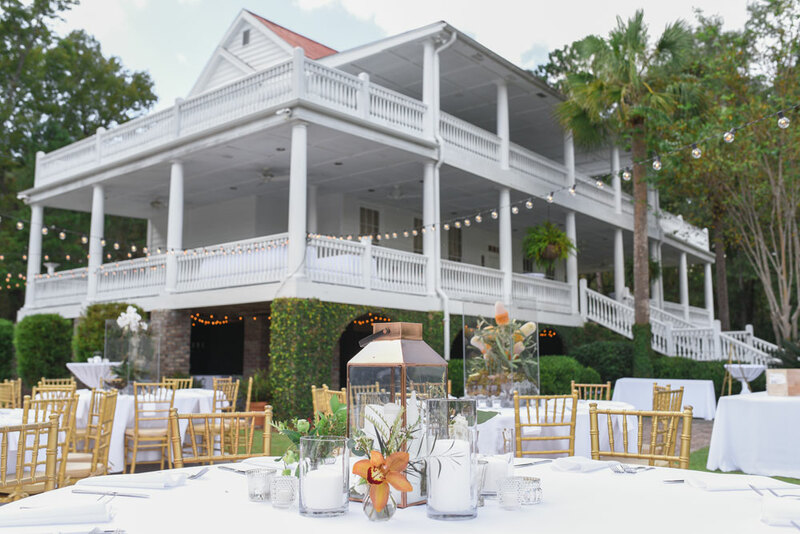 Note: Weddings and wedding receptions are only offered at Old Wide Awake Plantation on Friday, Saturday and Sunday. Other wedding-related events, such as rehearsal dinners, may be scheduled Mon-Thurs, if desired. Due to excessive wear and tear of the property and extra parking accommodations necessary for events hosting more than 250 people, a surcharge will apply for events of more than 250 persons. Saturday pricing will apply to any holiday falling on a Monday-Thursday. This pricing also applies to Christmas Eve and New Year’s Eve. Monday through Thursday dates are exclusively available for events other than weddings or wedding receptions. Old Wide Awake Plantation’s policy for Monday through Thursday events prohibits amplified music of any kind. Upon signing of your contract, we require a $1,500 non-refundable fee that will be applied to your overall rental cost. It will be forfeited if your event is cancelled at any time. An additional $250 fee is required as a security deposit with the balance of your rental fee. The $250 security deposit will be returned to you within 30 days after your function if terms of your contract have been kept, and it is not needed for extra clean up, or to replace missing or broken items.